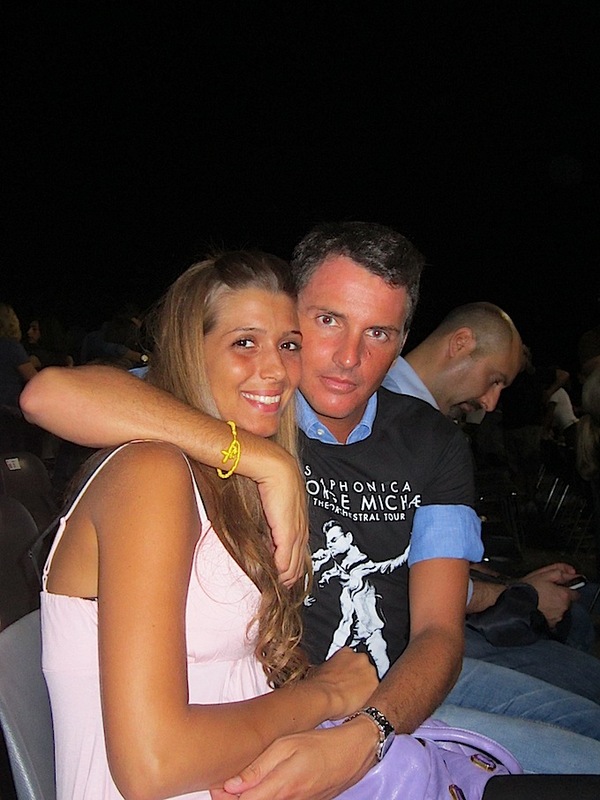 Symphonica - George Michael - the orchestral tour | Cosa Mi Metto??? I still have same few posts of my holiday on the States to be published, like some more photos of San Diego, and some photos of L.A., but now I'm back in Italy and I want to share with you the moments I'm living! So I'll publish the remaining pics of the USA next week! 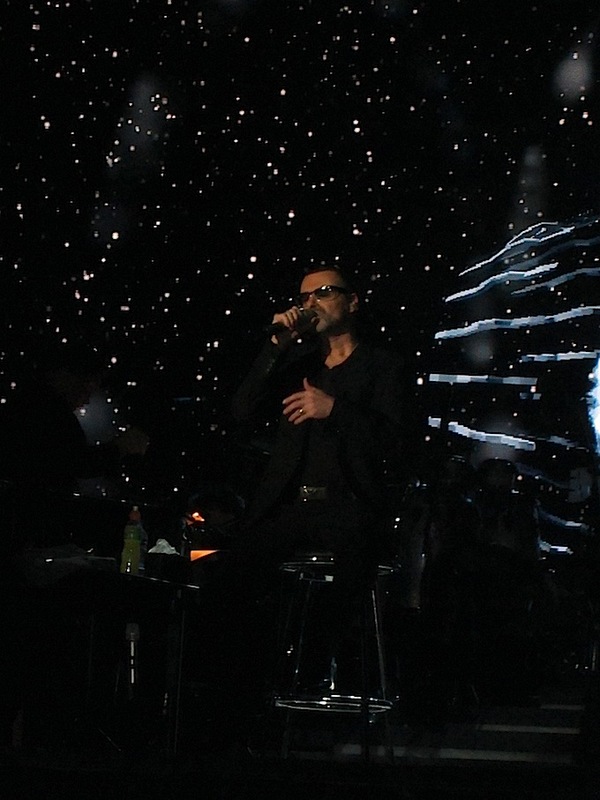 Yesterday I attended the best concert ever, Symphonica - George Michael - the orchestral tour. Such a fantastic experience!!! He has got an extraordinary voice that excited you, and he was accompanied by a stunning orchestra! The concert was really unique, something special; every song had a deep theme (like relationship between father and son, end of relation, love for a nation, commitment to society and so on) and George Michael played also "Love is a losing game" to honor Amy Wine house. For the occasion I choose a simple and comfortable pink and violet outfit, what do you think about it? Ho ancora qualche post delle mie vacanze negli States da pubblicare, come qualche altra foto di San Diego, e alcune foto di Los Angeles, ma ora sono tornata in Italia e volevo condividere con voi i momenti che sto vivendo! Quindi pubblicherò le restanti foto degli USA la prossima settimana! 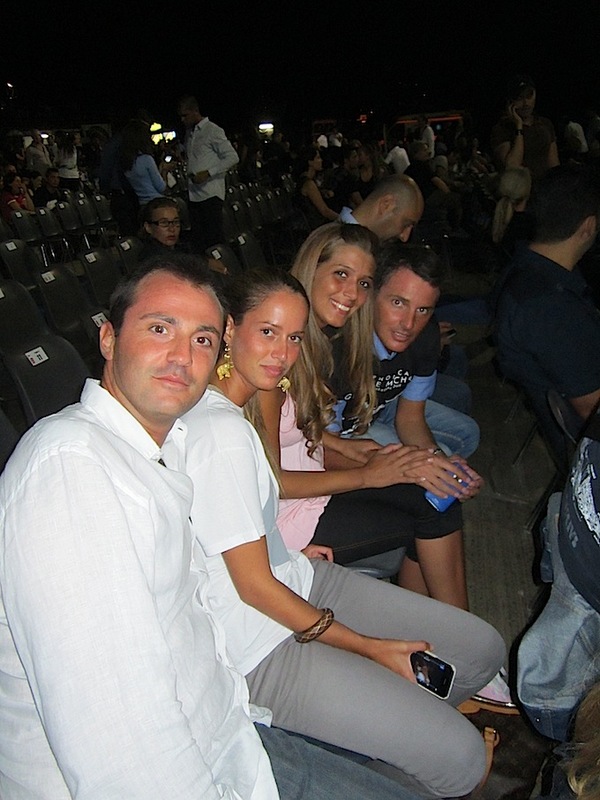 Ieri ho assistito al miglior concerto di tutti i tempi, Symphonica - George Michael - the orchestral tour. Che fantastica esperienza! 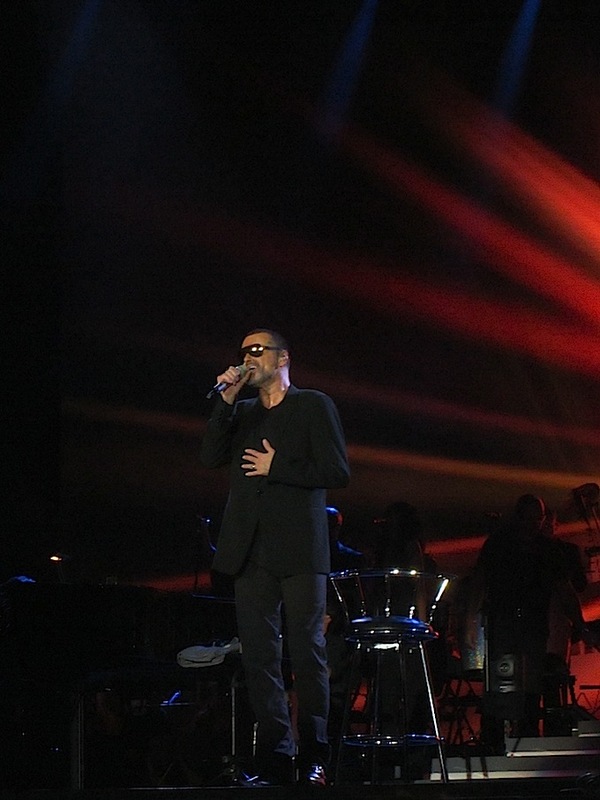 Il concerto è stato davvero unico, qualcosa di speciale; ogni canzone aveva un tema profondo (come il rapporto padre-figlio, la fine di una relazione, l'amore per una nazione, l'impegno in società e così via) e George Michael ha cantato anche "Love is a losing game" per omaggiare Amy Winehouse. Per l'occasione ho scelto un outfit rosa e viola semplice e comodo, che ne pensate? Very gentle and comfortable image! Bravo! seems like fun and perfect concert outfit! Stai bene, mi piacciono le all star rosa. Love the necklace and your hair is pretty too. can't wait to see ur photos! UAU! very cool! You are so beautiful! good week for you Fabrizia!!!!! hugs!!!! I love your blog too!!! I think I follow you, but if I don't do it, I follow you now!!! And if you want, follow me back! I'm so jealous!! Looks like an amazing time! great pictures! Good blog!! We like it!! I love your blog and follow you time ago. Do you follow me? ma dove eri?? sabato sera il conceeto era a Firenze ed OVVIAMENTE c'ero anch'io!! In San Diego?? I have jealousy! You have chosen well your outfit for the concert. And ohhh I'd love be in S.Diego!!! beautiful photos!!! love your outfit whith those converse is so cute!! Ciao ma sei bellissima ed in più abiti nella città del mio cuore e dei miei nonni paterni. Complimenti per il tuo blog, con tanta semplicità hai raggiunto dei livelli galattici. Bravura bellezza semplicità e charme. Le hai tutte. Mi sono registrata. Ti seguo con tantissimo piacere. Thanks for your visits on my blog ! You're such a lovely girl with a great style ! Nice to discover your blog ! io avevo le stesse converse rosa, ma le ho perse...in Vietnam! I came to thank the visit on my blog, it took me to come meet you but here I am. What beautiful photos, you're beautiful, must have located a wonderful day. 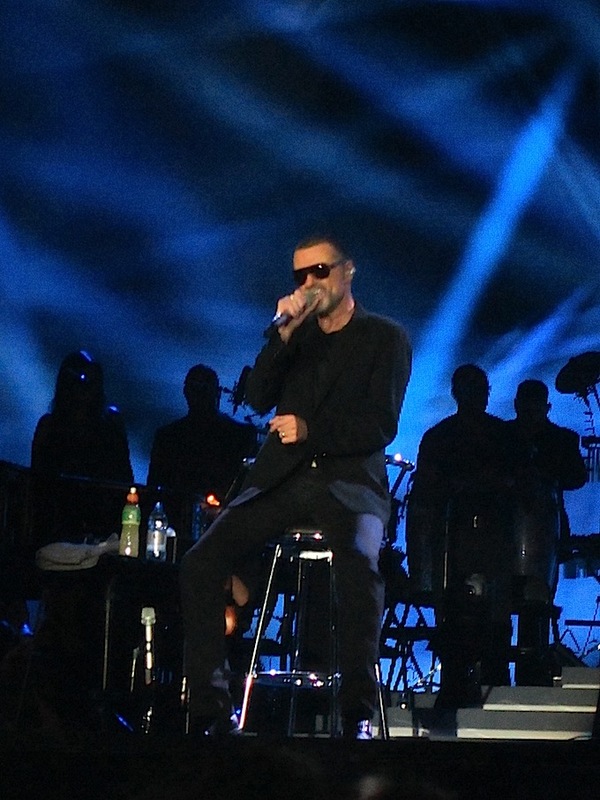 George Michael forever!! Nice shirt! Hi!!!!!!! thank you very much for sweet words! I'm looking your blog and you have beauty photos, I'll follow you too! io l'adoro da quando era negli wham!!!! Looks like you've had a blast!!! Nice blog. Thanks for visit. Want to follow each other. First off thank you for your lovely comment. Love this post, really like your all stars. thank you for your sweet comment darling!! Great pictures! Looks like you had an amazing time! Look forward to your USA pictures. George Michael? ARE YOU KIDDING ME? so so so so jealous! oh myyyyy!!! Hello lovely lady and thanks for stopping by and leaving a comment, we are now following-please be sure to stop by and follow back :-) Looking forward to it. wow!! what a great night !!!! G.M. is sensational!!! your outfit is great and comfy for a night like this!!!! anche io un giorno visiterò l america per adesso mi basta ed avanza la mia bella asia!!!! You are so beauty! Great look. And I like your necklace! You are very wonderful. Photos - Enchanted me. i'm your follower for long time and you're my follower too ..
cute photos :) i like your shoes ! FUN! Love these photos and your necklace! Thank you for your beautiful words! You look great! Cool pics, looks like you had a lot of fun! You are so gorgeous!! I am dying over these shoes of yours. lovelovelove. I like your teeth and you're very pretty! Nice outfit, and I'm glad you had fun at the concert. Nice blog here, so i bookmarked it! I have my very first giveaway so join if you like! you are so beautiful! i love converse! Hello Fabrizia, I am following you, nice blog . I hope you will follow me. I would like to change some photos and info with you. What do you think? thanks for visit my blog!I didnt know yours, but now, you have a really good follower! What a wonderfull trip to EEUU, you look so happy!! Look how beautifull you are! I love George Michael, you' re so lucky. And you look fantastic as always. How fun! I live in LA and am excited to see what you liked about the area. I also LOVE Vegas, luckly for me it is only a 4 hour drive. I posted some pictures from my last trip to Vegas on my blog, I went to a Tim McGraw Concert at Planet Hollywood! seems like you had a blast. and i really adore your pink and lilac chucks - they're brilliant! did you have fun? yes or no? I need a pair of Converse, in pink are really nice. Thank to all of you, you're always so affectionate! Grazie a tutti voi, siete sempre così affettuosi! @Cristina, i leggins sono della passata collezione!!! Cool! I love your pink Converse! You are sa beauty!! :D Great Look!